I lost an Uncle this last week, and it only occurred to me after the funeral that he was entirely responsible for my love of my comic books. Let me backtrack a moment: As you would expect, this has been an impossibly hard week for everyone in my family, from my Dad (his youngest brother) to my Aunt to my cousins. Framing this tragic death in the context of its relationship to my own personal love for the comic book medium is self-absorbed and may appear to trivialize a significant loss. This is not my intent; it is simply one way I’m realizing the depths of this loss. There are many things my Uncle was known for, but one of the ones that stood out in my family was his amazing comic book collection. Growing up in the 60’s, he was there at the genesis of everything we celebrate in comics today. 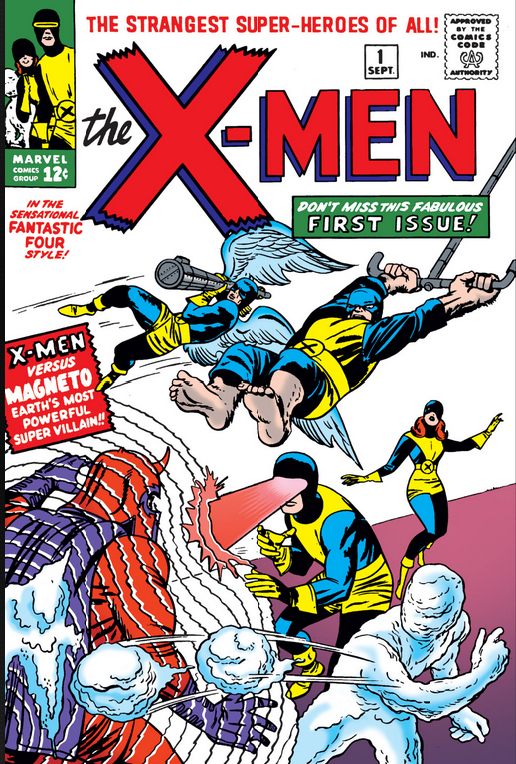 It’s estimated that his collection, which included the likes of Uncanny X-Men #1, is worth hundreds of thousands of dollars. He lost them all in a basement flood. I have no idea how this affected my Uncle personally, but my Dad basically took a Wolverine claw to the gut every time it came up. All those classic comics! Ruined! I’ve never looked at Hydro-Man the same way since. It occurs to me now, though, reflecting on what my Uncle meant to me, that had he never collected those comics, it’s very likely I would have never fallen for the medium. It is very likely that his impact on my Dad contributes to everyday of my life. One of the truly incredible things about comic books is the fact that they can operate on a generational sphere that most entertainment can not. If your father passes down a collection of films from the 1960’s, he is largely just passing old films. Yes, they can be classics, and they can greatly impact what we know as cinema today, but for the most part, they standalone as single entities from that time. On the other hand, if your father passes down a collection of comics from the 60’s? He’s passing the start of the ongoing adventure. The Uncanny X-Men story he started with Stan Lee and Jack Kirby in 1963 is continuing in 2013 with Brian Michael Bendis and the All-New X-Men. Now, of course: things change. Comic book writing and art have changed over the course of 50 years, the same way any form of entertainment will. But the characters and the central components have largely remained, and this is what preserves comics’ unparalleled level of timelessness. We have a running joke in my family that any time a modern comic or comic book movie takes liberty with a character’s core value, my Dad will be beside himself with disgust. As a reader during the original runs of many of these characters, he has an expectation of what it means to BE Spider-Man, Daredevil, etc. This all came to a head with Marvel’s trailer for Captain America. Here it is, after all these years, Steve Rogers wearing the red, white and blue (yes, I’m willfully ignoring this take). And just like you remember him, he’s shooting a pistol into Nazi soldiers. Ignoring for a moment the “Ultimate Cap had a gun it’s no big deal, man!” arguments, this was sacrilege for my Dad. Cap has a shield. He doesn’t shoot people. Cap with a pistol is not Cap. My Dad ended up liking the movie just fine, but I honestly don’t think we could have had an argument like that about any other form of entertainment. Comic books span generations, and even as they change they generate a reminder of their past. To bring everything full circle, my Dad might not have had ANY opinion on a gun-wielding Captain America if it wasn’t for my Uncle. He brought comics into my Dad’s life, who brought them into mine, as I’ve brought them into my brother’s… there’s a cycle at work here. So to my Uncle: Thank you. This is only one of the ways you brought joy to my life, but it is one that will stay with me and my family forever. And a quick note for you in heaven: Keep the comics away from Noah.